Leaving Certificate student Shane McLoughlin, pictured with his teacher, Mr Gerard Lillis and adjudicator Mr Colm Carey. 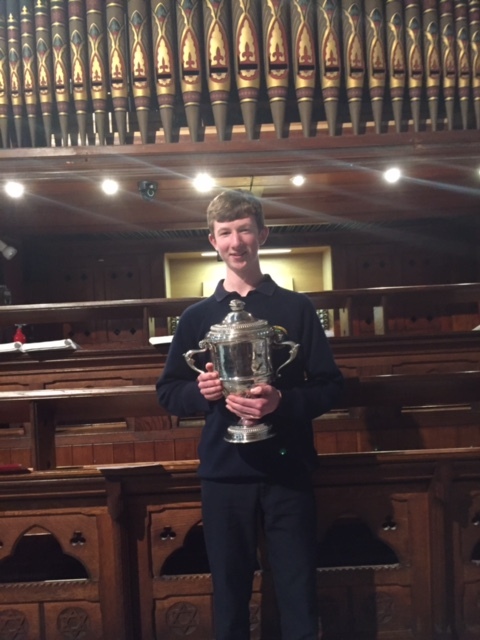 Shane was awarded 1st place in the Stanford Organ competition at Dublin’s Feis Ceoil 2017. 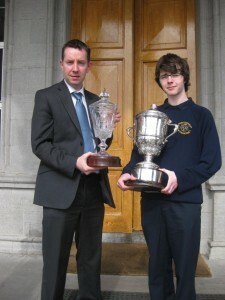 He also received the Catherine McAuley award for achieving the highest mark in all senior organ competitions. 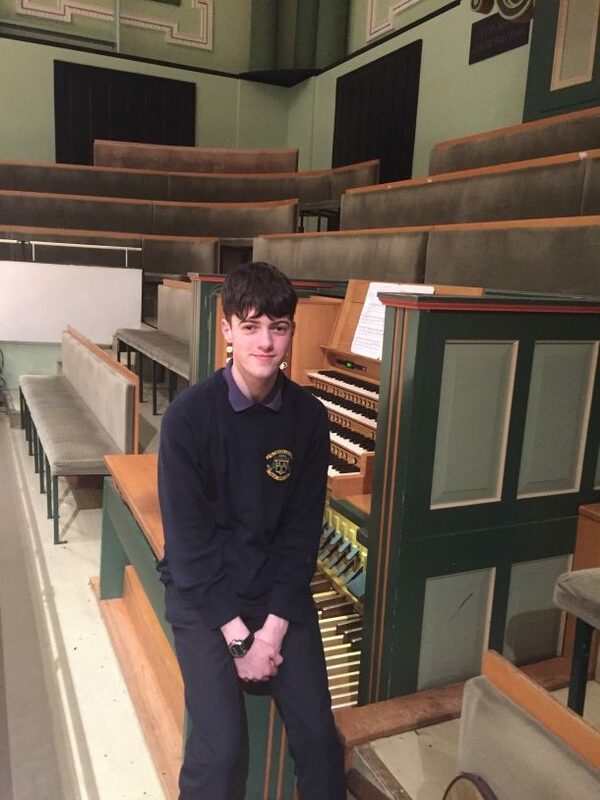 Leaving Certificate student Alan Fagan, winner of the Senior Organ competition at Feis Ceoil 2017, and subsequently invited to perform at this year’s Feis Ceoil Gala Concert in Dublin’s National Concert Hall. 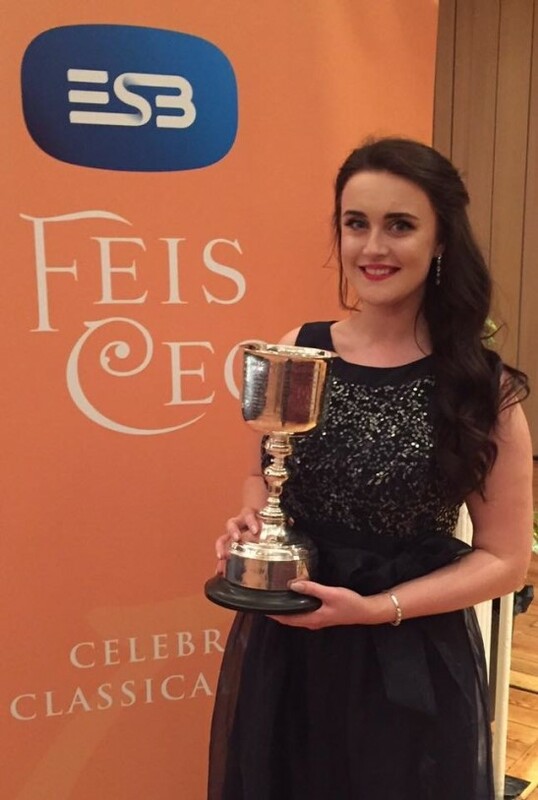 Recent past pupil, soprano Sarah Brady wins the Lieder Prize, Nancy Calthorpe Cup, Dermot Troy Trophy, Gervase Elwes Memorial Cup and the €15,000 RDS Bursary at Feis Ceoil 2017. 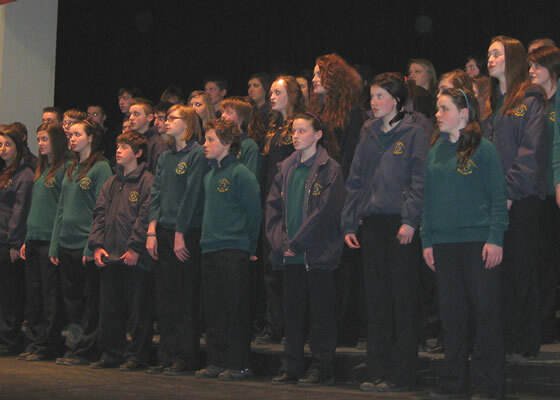 The School Choir from St Finian’s College, winners of the Alice Yoakley Quirk Cup and the Fallon Cup for Post-Primary Schools Sacred Music at Dublin’s Feis Ceoil. 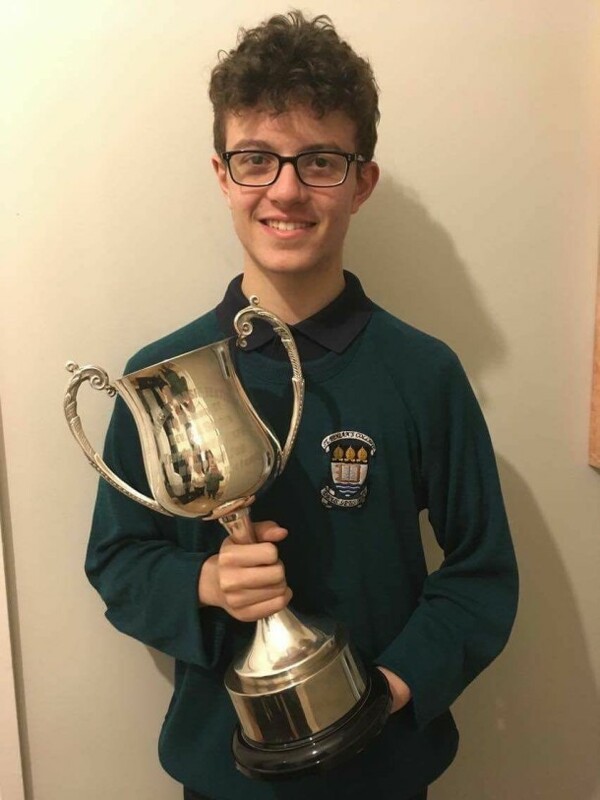 Junior Certificate student Shane Lavelle from Kilcock wins the u20 Male Voice competition at the Kilkenny Music Festival 2017. 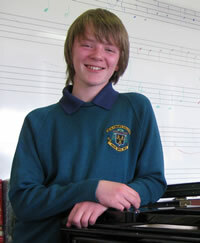 Past pupil Peter Regan from County Roscommon, who won the Senior piano competition and the Hamilton Harty Cup at Dublin’s Feis Ceoil 2017. 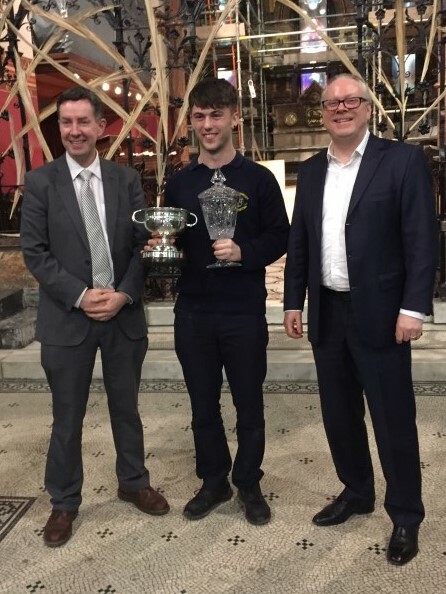 Mullingar Cathedral Organ Scholar Eoin Casey scoops 3 prestigious cups at Dublin’s Feis Ceoil 2016 – The Senior Organ, The Stanford Prize, and The Catherine McAuley award. 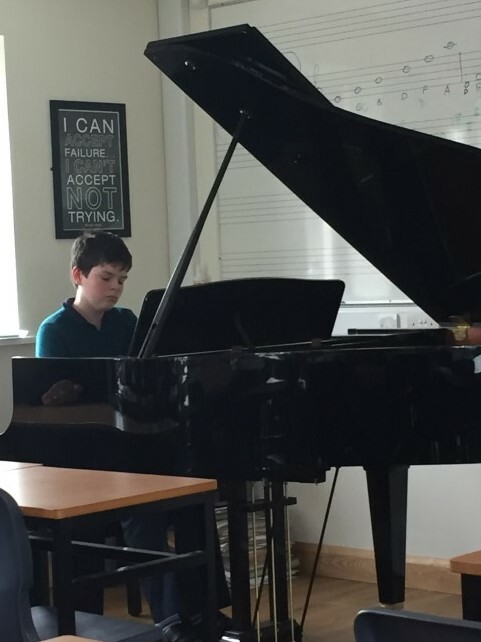 Recent past pupil Adam Collins who made his debut solo performance in Dublin’s National Concert Hall following the prestigious award of the Catherine McAuley Trophy and Bursary at Feis Ceoil Dublin. 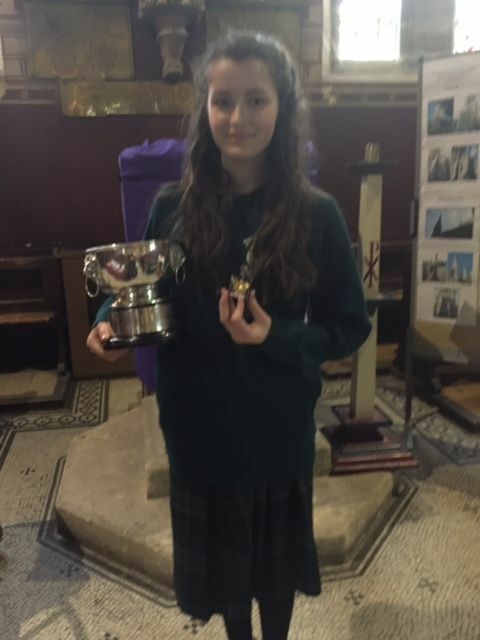 Clíodhna Regan won was awarded 1st place in the u15 Irish Solo song competition, and runner up in the u18 Junior Organ competition in 2017.